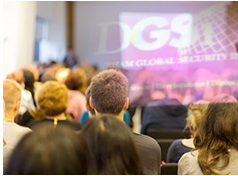 One of the core drivers behind the launch of DGSI is the establishment of a research environment in which the diverse strands of conflict research can be brought together, both from within the University and from elsewhere. Durham already boasts a rapidly expanding research community focusing on various aspects of conflict, spanning the School of Government and International Affairs, Law, Geography, Archaeology, Anthropology, Theology and the School of Applied Social Sciences (Criminology and Sociology). DGSI offers an institutional framework for research collaboration, both for existing staff and for visiting researchers. Practitioners and academics can make use of DGSI’s short-term Visiting Fellowships (1-6 months), become Research Fellows, or embark on a 3 year PhD . All streams are committed to interdisciplinarity, knowledge exchange and public engagement.